Running has a reputation as being bad for your joints and bad for your heart. Indeed, non-runners will tell you that it is an activity as beneficial to your knees as hitting them with a hammer and is more likely to cut your life short than enhance it. Thankfully, scientists have proved otherwise. Here, we provide the evidence to explode five of the most common myths about the sport. It’s a common misconception that running is bad for your knees, but experts have disproved this theory. Indeed, a 2013 study of almost 75,000 adult runners found the opposite to be true. Canadian researchers reported finding “no evidence that running increases the risk of osteoarthritis, including participation in marathons”. In fact, those who ran regularly were at less risk of developing knee arthritis than less active counterparts. It backed up findings from a previous 21-year study at Stamford University, which tracked nearly 1000 running club members and non-runners and found no difference in the state of their knees at the end of the investigation. We would all like to have a smooth and seemingly effortless running style. Unfortunately, most of us are not made to run that way. Does it matter? Not as much as you’ve probably been led to believe. “A lot of top runners don’t have a perfect running style,” says John Brewer, professor of applied sport science at St Mary’s University Twickenham. “Correcting obvious mistakes such as hunched shoulders or a nodding head is good, but there’s no need to be faultless.” Researchers at the University of Exeter’s human performance group showed that we actually self-adjust our style just by running more. Just because you have never run or haven’t laced up your trainers in decades doesn’t mean it’s too late to start. In 2014, a study in the journal PLOS One found that people with an average age of 69 who ran several times a week expended the same amount of energy or had the same “economy” of movement when walking as a typical twenty-something. Further, when scientists at Stanford University School of Medicine tracked 500 older runners for more than 20 years, they found they had fewer disabilities, a longer active life-span and were half as likely as ageing non-runners to die early. We’ve all read the scare stories of middle-aged joggers suffering heart attacks on the run and heard how Jim Fixx, the man credited with starting the 1980s jogging boom, died of heart disease. But how strong is the evidence that it will harm the ticker? 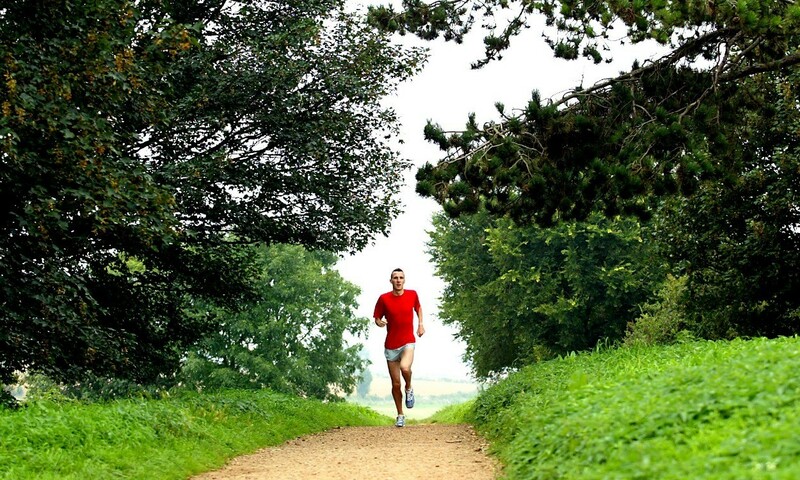 According to the British Heart Foundation, running is a route to a much healthier heart. “There is convincing evidence that the vast majority of the population should be running more, not less, and that doing so will improve their health,” says Matt Roberts, the personal trainer to David Cameron and the author of Get Running (Quadrille, £12.99). Non-runners will tell you it’s a route to an early grave. But researchers have shown running extends lives rather than cuts them short. A landmark study by the University of California compared the long-term health of a group of running club members aged 50-plus with another group of healthy non-runners, believing the fitness habit might leave the joggers crippled with health problems. On the contrary, after 20 years, 34 per cent of the non-runners had died compared with 15 per cent of the runners and the surviving joggers were generally in better health overall.